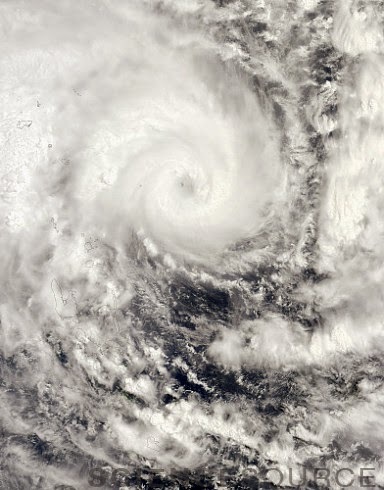 The satellite image at right shows the eye of Cyclone Pam heading in a southwesterly direction on March 13, 2015, shortly before the storm struck the South Pacific island nation of Vanuatu. Cyclone Pam has since left thousands of people homeless and destroyed most of the buildings in Port Vila, Vanuatu's capital city. As the storm approached the city, it had sustained winds up to 265 kilometers (165 miles) per hour, making it a category 5 cyclone. As Pam was speeding toward Vanuatu, two other tropical cyclones were active in the region. In the image below, captured on March 11, Cyclone Olwyn hits Western Australia and category 4 Cyclone Nathan (center) can be seen approaching Northern Queensland. Nathan is due to hit the coast on March 20. The eastern half of the United States saw hundreds (and perhaps thousands) of low-temperature records broken during February of 2015. The waters around New York City were choked with ice, slowing ferry traffic and shipping. By the end of February, Boston had reached 100 inches of snowfall and was just a few inches short of the all-time record; the yearly norm is 32 inches. The ocean around Nantucket was so cold and snowy that waves took on the consistency of slush. Ironically, in the same month, record-breaking temperature averages made the western half of the country warmer than any other winter in recorded history. NASA's Dawn spacecraft, launched in 2007, is now orbiting Ceres. Dawn has traveled 3.1 billion miles to reach the dwarf planet, which resides in the asteroid belt between Mars and Jupiter. Dawn has already spent over a year orbiting another protoplanet, Vesta, making it the first spacecraft to orbit two separate extraterrestrial bodies. 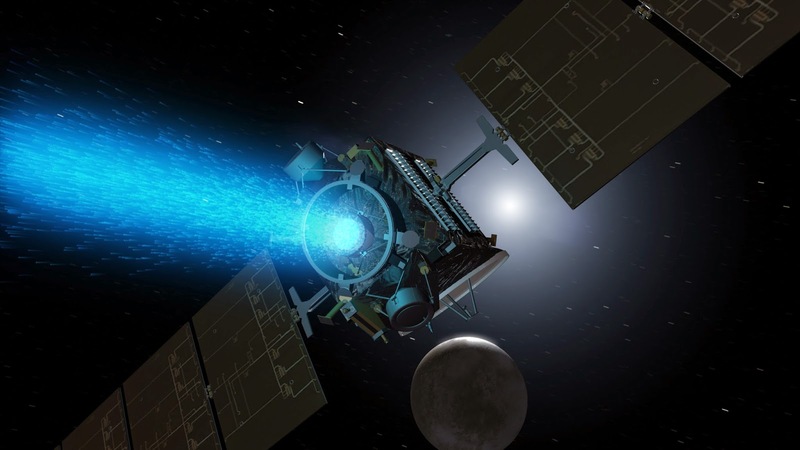 Dawn travels through space using ion propulsion, in which ions are accelerated out of an engine to produce thrust. After it spends several months of data-gathering, the spacecraft is expected to remain in perpetual orbit around Ceres as it runs out of fuel. 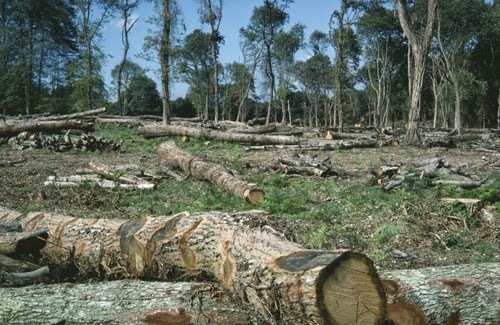 An area of deforestation in Rondonia, Brazilian Amazon, for road construction.